Kim Kardashian and Kanye West have reportedly named their newborn daughter North, and less than 24 hours after the announcement, all directional jokes have officially been cracked. Kim Kardashian and Kanye West attend The Metropolitan Museum of Art's Costume Institute benefit on May 6 in New York. Although that won’t stop anyone from continuing to make them for the rest of little North West’s life, the obvious problem with the otherwise attractive name. Which begs the question: Did Kim and Kanye choose the name despite or because of its punniness? We’re betting the Kim resisted choosing a name that was inherently a joke, but Kanye refused to alter course. North West had surfaced months ago as Kanye’s name of choice but was pooh-poohed as just another absurd rumor. And Kim herself, in a Jay Leno interview in March, declared that North was out of the question – but added that she did kind of like Easton. And she also said that they weren’t tied to a "K" name, that their list was in fact half "K" and half not. 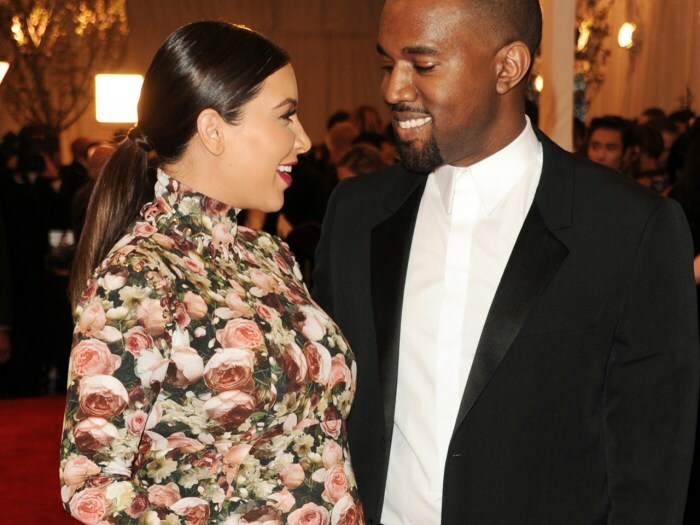 Early reports following the baby’s June 15 birth said the name definitely began with a K, and was given variously as Kai Georgia Dona, Klementine Star, and Kaidence Donda. Some people actually suggest that the baby be called Kimye or Kardashia. But now it seems that in the end Kanye got his first choice: North (no middle name) West, with the nickname Nori – Japanese for seaweed. Nameberry predicted North to be one of the major trend names of 2013 back in November, along with related names such as Winter, January, and Snow. And in recent polls, 85 percent of our readers prefer the name North to South, which has been used even less frequently as a first name. Other celebrity babies with directional names include Marley Shelton’s daughter West, Jenna Fisher’s son Weston, and two Eastons, one of each gender – Jenna Elfman’s son and Elisabeth Rohm’s daughter. Will the couple’s choice of North influence the popularity of the name, the way Kourtney’s choice of Mason propelled that occupational name to No. 2 on the boys’ chart while turning the ancient Penelope into a trendy name? The trans-gender quality of the choice complicates its popularity potential. If the baby had been a boy and named North, the name would undoubtedly have become much more popular. But its high-profile use for a baby girl is likely to dampen its rise as a boys’ name. At the same time, North is a more challenging choice for a non-celebrity baby girl, even one who doesn’t have the last name West, so it’s unlikely to zoom up the charts the way such celebrity baby names as Violet and Ava have. Not every notable baby name becomes popular. Suri and Apple are two well-documented choices that have not caught fire with the general populace. North and Nori could well follow suit. And then there are those celebrity babies with joke-y names who grew up to change them. Zowie Bowie, son of David, became Duncan Jones and Free Carradine, child of Barbara Hershey and David Carradine, changed his name to just plain Tom.